Communication skills are essential tools for talent-development leaders--whether listening to the needs of team members, leading training, or requesting budget increases from senior leaders. You’ll learn to minimize barriers to effective listening, to structure your message well, give clear and substantive responses to questions, and boost your presence in challenging situations. Identify habits and attitudes that affect listening. Understand executive presence and how presence affects reception of your message. Structure your message, recommendations, and presentations for the highest impact. Respond to questions with enhanced credibility, rapport, and authority. Designed for leaders and any with aspirations for leadership roles, this webinar is open to all who seek to improve their communication skills. The webinar “samples” from two of our most popular 2-day programs, Presentations That Work® and Communicate With Confidence®. In her capacity as senior consultant with Booher Consultants, Christine Casady has worked with dozens of organizations for more than two decades, helping them increase their productivity through effective communication. Her consulting, personal coaching, keynote speaking, and training work with Booher clients has been in the areas of personal and executive presence, business and technical writing, basic and advanced presentation skills, and interpersonal skills. One of the most valuable things that Christine brings to the table is her enthusiasm for learning about her clients and their specific challenges and goals to improve their communication. 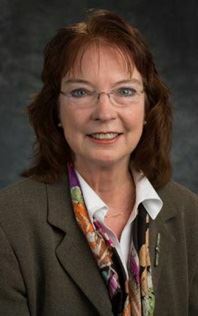 Booher clients Ms. Casady has served include ConocoPhillips, Chevron Phillips Chemical, BNSF Railway, ExxonMobil, Nokia, Frito-Lay, JCPenney, Coca-Cola, New York-Presbyterian Hospital, Lockheed Martin Aeronautics Company, USAA, and Federal Home Loan Bank. Ms. Casady received her master's degree from Temple University in theater/ communications. Whether in coaching, speaking, or training situations, Ms. Casady exudes a positive energy as she motivates and encourages her audience, sharing Booher concepts that will permanently enhance their ability to communicate effectively.